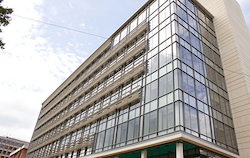 The UAB CF Research Center is dedicated to providing a comprehensive, multidisciplinary understanding of CF pathogenesis and advancing innovative therapies to increase life expectancy and quality of life for people with CF. 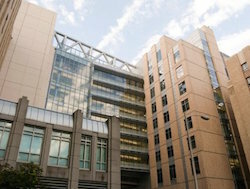 To fulfill this vision, the Center strives to position its Research Base with superior resources, expertise, and a state-of-the-art framework to conduct a broad array of CF research, focusing on research initiatives with a high likelihood of stimulating or advancing therapeutic translation. 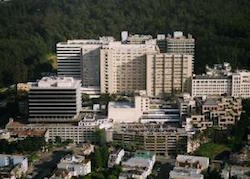 The focus of the UCSF Core Center remains the discovery and evaluation of novel small-molecule therapies for CF. The mission of the Novel Small-Molecule Therapies for Cystic Fibrosis Center is to progress the five years of work establishing a unique academic drug discovery program in the laboratories of Dr. Verkman and collaborators to identify and characterize small-molecule modulators of CFTR activity. The Center for Gene Therapy of Cystic Fibrosis (CF) seeks to improve the quality of life for CF patients by both enhancing the field's understanding of CF pathogenesis and developing molecular therapies. The Center acts as a conduit that brings new talented investigators into the field of CF research and enhances the research infrastructure needed for collaborative discoveries and the development of novel therapies. The Marsico Lung Institute / UNC Cystic Fibrosis Center has a rich tradition of collaboration. It exhibits a wide scope but “thin” coverage of the scientific areas relevant to CF. In brief, we typically have recruited only one or two experts in a given field, but have attempted to use our large numbers of investigators to cover a wide spectrum of scientific disciplines required to tackle CF research in a collaborative and efficient fashion. A personalized medicine approach helps customize care to individual CF patients based on the unique molecular and phenotypic characteristics associated with their CFTR gene. This will drive successful therapeutic outcomes and minimize potential adverse effects of chronic therapies. 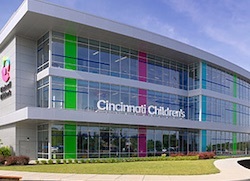 Given that our CF Center at CCHMC already has an excellent electronic medical record system (EPIC) and a site-specific IRB approved genotype database available for clinical and research use, we intend to leverage these capabilities to develop Personalized Cystic Fibrosis Therapy and Research Center (PCFC) for individual patients to (i) determine his/her susceptibility to a particular form of CF mutation, and ii) take steps to mitigate the early onset of the disease. 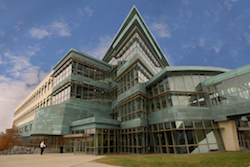 The Dartmouth Cystic Fibrosis Research Center (DartCF) proposes to build on strength in airway infection and preclinical drug development, to include gut disease and diabetes and changes in patient microbiomes. We believe that these phenomena are interconnected, and that parallel investigations, coupled by powerful new data-science strategies can find new therapeutic approaches by understanding the complex underlying biology. 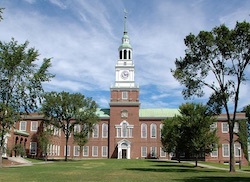 Our overarching goal is to catalyse new directions in CF basic and translational research at Dartmouth; develop integrative strategies to address CF pathobiology; develop new research tools and support CF research through shared services; and build research capacity to strengthen CF research locally, regionally, and nationally. The UW CFRTC focuses its research on developing new and improved treatments for patients with Cystic Fibrosis. The Center has a long history of strong partnerships between laboratory and clinically based scientists working together to take observations from the laboratory and transforming these findings into better drugs to treat the nutritional, metabolic and lung aspects of this fatal genetic disease. NIDDK funds the Cystic Fibrosis Research and Translation Centers using the P30 Center Core Grant mechanism. 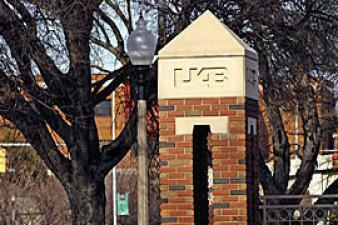 Previously funded CF Research and Translation Centers will be listed up to five years after discontinuation of funding.